The weather seems to be getting colder recently and there's nothing better than putting your feet up on a night along with your favourite candle glistening in the corner. Now this is new for me as I've always bought the jars from Yankee Candle, but it was time for a change and I was quite intrigued by these little wax tarts. 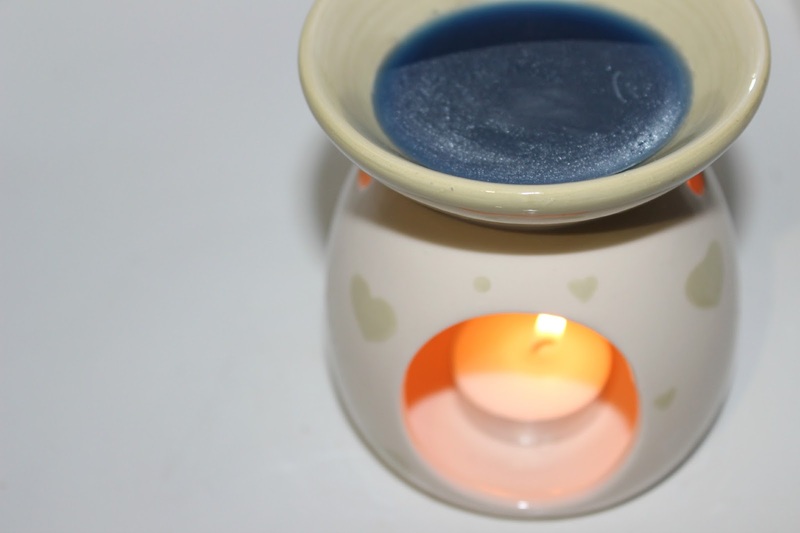 All you have to do is place the wax tart into a burner and place an unscented tea light below. Give the wax time to melt, as this happens the fragrance will be released. You can also mix and match your tarts to create your own scent. Each Yankee Tart lasts up to 8 hours scent wise that is, I have also found that some last longer than this. This is a great way to test out new scents and have a new fragrance in the house more often. Another little tip is to break the tart in to two pieces and use just one piece at a time, that's if you're like me and like to change your tarts quite regularly. The November Rain scent is described as 'quiet interlude of the season is reflected in this airy, refreshing mix of watery leaf notes, warm amber and crisp, brisk air' and I couldn't agree more. November Rain is a quite a strong, fresh scented candle and you can really feel the season when you light this one. I purposely didn't light mine until November either because of the name, is that pathetic? haha. 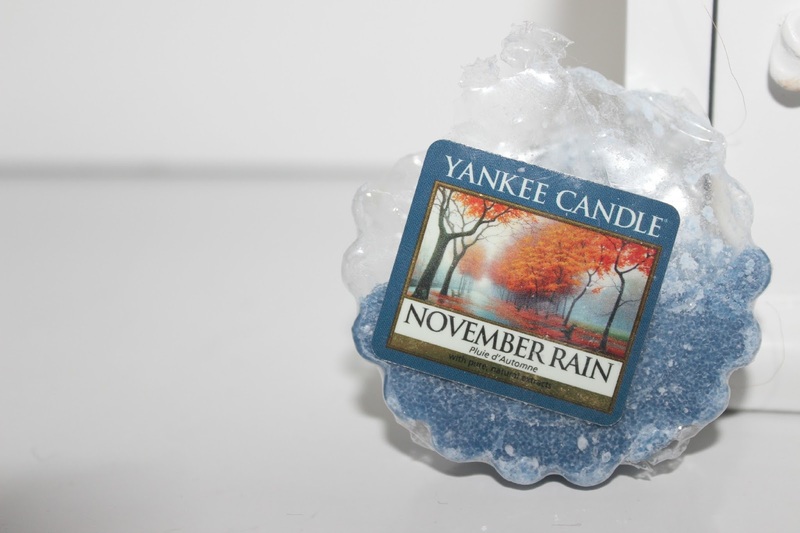 November Rain has to be one of my favourite Yankee Candle scents that I've tried so far and let me tell you I've tried plenty. Yankee Candle have some nice burners that you can buy online and in certain stores that usually range around the £10 mark. The one in the picture above is just a cheap one from B&M that cost me 99p. The tarts are usually around £1.20, but they usually have a few on offer online. Have you tried November Rains before? What's your favourite Yankee Candle? we're going to go ahead and admit it...we've never tried any yankee candles before!! we're going to have to though because this sounds amazing!! :O my jaw is on the floor! Erugh I need a BM store near me. I am always worried I would make a mess with the tarts, wax everywhere. This is one I haven't tried, and the name doesn't sound too appealing, but this is going on my to sniff list! I've actually only judt bought my first ever Yankee Candle after reading so much about them! I love it, definitely up for a Yankee tarte! I do get bored of scents quite easily.